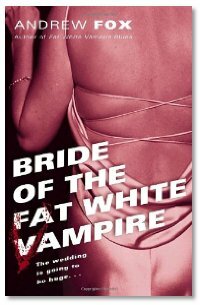 Andrew is a second-time guest, appearing this time to speak about his latest work, Bride of the Fat White Vampire. Andrew lives and writes in New Orleans, a great place to set his particular take on vampires. As we told you last time, this is not your typical vampire story you might be used to. Funny, sharp and always original. Christian fiction with sprinkles of horror throw in? That's what William has created. Take it from Evo, it's a great book regardless of your personal faith. Hey, who doesn't like a book with personal demons and a government project which opens a door to an alternate universe? Grab a copy of Tall Man in the Hat today. Daleks signed for Dr. Who project.